Thanks for your inquiry. Unfortunately we do not have a such a plan. 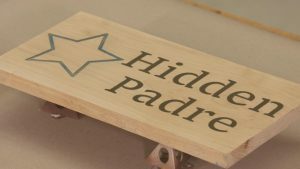 What is the product used for the epoxy inlay? And where do you buy it? I am considering building my own coffin. Do you have any plans or suggestions? Hi Arthur. We do not have a plan for this but I have seen books available on this topic. If you search around you can probably find some resources on this. do any members have a set for sale? 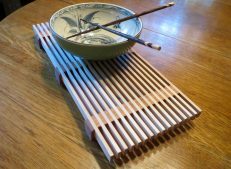 Hello, I’m looking for a plan for a small card (mahjongg) table with folding legs. Can you assist me? Hi Steve. We do not currently have any plans available for this. 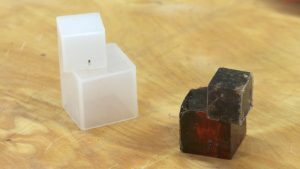 You could do something as simple as building a simple slab and installing some folding legs. Here are some legs that you could use: https://amzn.to/2BbQ42i. Hi Michael. Thanks for checking in with us. Unfortunately we do not have a plan for one of these. 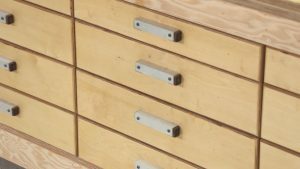 I am trying to find a plan for a Mitre saw station/ stand. I cannot find one here, but I might not be looking in the right place. Do you have a plan for a tall refrigerator cabinet? I am looking for plans too build a Bi-Plane rocking chair for my new grand daughter? Anyone here have any? Hi Joseph. Thanks for checking in with us. Unfortunately we do not have such a plan. Ticket 18768 Looking for plans for a built in closet, do you have any for ideas/inspiration? We do not currently have any plans for a built-in closet, but thanks for checking in with us on this. Looking for plans for a “Recording audio/video desks”. George bought a router table top like this one: http://amzn.to/2slMBaZ and built his own cabinet to mount it on. Some great variety of projects on this program. hello, how do I get to the project with plans for a small chicken coop? thanks! 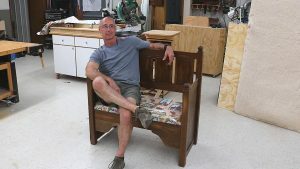 Do you have plans for the original Adirondack chair with wider arms? Hi Alfred. We have a plan that has pretty wide arms. If you want them wider you can always modify that portion of the project. Do you have plans to build a 5 or 6 foot high lighthouse? If not, any ideas where Icould find one. Thanks for inquiring with WWGOA. Unfortunately we do not have such a plan. How tomake 6 sided roof for abird feeder 60degrees for flat how to raise it up. Want to make a 6 sided gazibo bird feeder having trouble with roof. Hello. I would be happy to send your question to our experts. Can you give me a little more detail on what you are having trouble with? If you search for “workbench” in the search box on wwgoa.com you will find a number of different workbench designs. Could I send a pic and have you see if you have plans for it ? Good morning, looking for plans for a bed ramp for an older dog. Do you have something to fit the vill? Unfortunately we do not currently have such a plan. Here is one that is designed to operating in miter slots, but it could also function just fine with clamps that hold it down to the table. Hello. Below is a link for a cremation box. If you have any questions, please give our customer service team a call at 1-855-253-0822. Looking for the plans for the two seat porch bench with table but can’t seem to find them. Also do you have plans for a glider two seat bench with table? I’m looking for a plan to build a twin bed frame. Hi Steve. Thanks for checking in with us. Unfortunately we do not have a plan for a bed, but we have this simple headboard plan that you might find interesting. Having “Plans and Projects” is helpful – now if we only had a way to search them – other than one by one across 23 pages! Hi Kenneth. If there are certain projects you are looking for you can enter that subject matter in the search bar. This will bring up the different videos pertaining to that subject. If you have any questions, please give our customer service team a call at 1-855-253-0822. Looking for designs/instructions to make pull out shelves for kitchen and bath base cabinets. 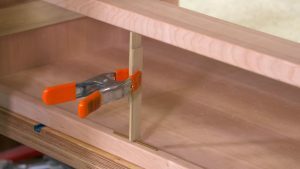 If your cabinets have face frames you will have to install a spacer to bring the slide in so that you have clearance for the shelf to pass the face frame as it is pulled out. Hi, thanks for checking in with us. We do not currently have anything like this, but we will add it to our list of potential future topics. I saw a limbert desk in your Nov mag. Says full project plan on line. I am now a member. Still can’t find the plan to print. Hello. The only plan we can locate is this plan. https://www.wwgoa.com/product/limbert-footstool-plan/ Can you let us know where exactly you saw the plan? Hello. 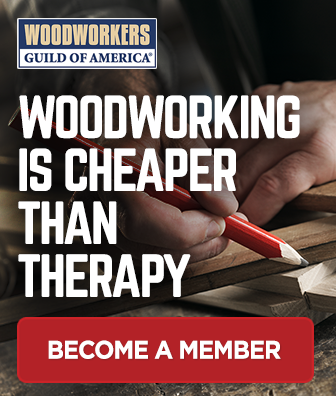 I believe that you might be referring to a plan that was published by Woodworkers Journal http://www.woodworkersjournal.com/. I’d suggest contacting them directly with this question. Hi Donald. I’m not aware that we have such a plan, but you can search around on wwgoa.com to see if you come across something that looks familiar. I am building a 30’x40′ pole barn. I need help with laying out machines. I’ve seen scale machine templates for use with scaled dwg. Any help available? Looking for plans for the Teddy Bear rocking chair. Rockler does not offer the plans any longer and I would like to build one for my grandsons first Christmas. Thank you. Hi Keith. Thanks for checking in with us, but we do not have a plan for this. 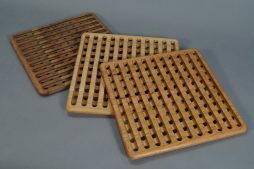 We do have a child’s rocker, however: https://www.wwgoa.com/product/shaker-childs-rocker-plan/. I down loaded working plans for Lambert Desk. I am trying to deciding what wood to work with. The plans mention Maple. White oak, Mdf and Ebon_Oak. Can you help me keep the cost down? Hello. White oak, red oak and maple are all pretty reasonable around here in MN. If you can find a sawyer and buy green lumber to dry yourself you can also save more money. I thought I was going to be able to get plans for chicken coup, very disappointed. I would love to see some chicken coop plans…. any ideas? Thanks! Hi Clarke. Thanks for your inquiry. Unfortunately we do not have a plan for a glider swing. Why can’t I search for a specific plan? I need a plan for a glider swing. Hello. Thanks for your inquiry. Unfortunately we do not have a plan for a glider swing. Hello. I am sorry, but that is outside of our area of expertise, as we focus on in-shop fine woodworking rather than construction and DIY projects. you have a lot of project that I am looking at right now that I am interested in. If I were to download the 3 pc. Bedroom plans, does that count as one of my plans I get free for being a premium member, or is that something else? How would I know if I like the plan before I download it? Could you please provide the link for the bedroom plans you are referring too and we will look further into it for you. Ticket 21150 Do you have plans for a gate? Thanks for checking in with us. Unfortunately we do not have plans for a gate. your plans are terrific and I have made several projects for myself. Thanks for checking in with us. Unfortunately we do not have any materials on building toys. We have cancelled your Premium membership and refunded you $7. Please allow 2-3 business days for the refund to process. Hi Aaron. Thanks for checking in with us. Unfortunately we do not have crib plan. Hi Jeffrey. I am sorry but we do not have any plans for that. Do you have any night stand plans? Hi David. 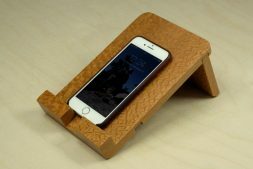 If you search for bedside table on the wwgoa.com site, you should find a couple options that might work for you. I am looking for plans to make a wall mounted kitchen table. I saw one online that looks like a picnic bench. It folds up and to save space if you do not have enough room in your kitchen. 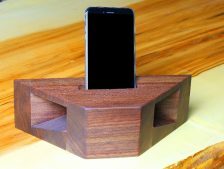 Can you please help me to find the instructions on how to make it. Hi Freida. Thanks for checking in with us. We don’t have a plan like that, but if you use our search function you can find the table plans that we do have. Hello. Thanks for inquiring. Unfortunately we do not have anything like that. Why do you not have bed plans. Can you look at a list of your plans and projects instead of having to cycle through them. Hi Richard. If you are searching for a specific type of plan or project you can enter that in the search box in the upper right hand corner and this will bring up the plans or projects we have pertaining to that subject. If you have any questions, please contact our customer service team at 1-855-253-0822. Thank you for contacting us. Here are a few links that might be helpful. Why no list of plans by project type? They are all mixed in with articles and videos. No way to search for or browse for a specific plan type without looking through every one. They need to be categorized. If you have any other questions, please contact us at 1-855- – , or chat with us on our site. Ticket 22150 Searching for a scroll saw table plan. Thanks for checking in with us. We do not currently have a table that is custom built for a scroll saw. I am trying to bring up “free” plans for a router mortising jig and a router finger joint jig. All that comes up are ones that need to be paid for. What happened to the free plans????? Browsing… without a list of titles… takes forever. A list/index would be really nice. Thank you for contacting us. Unfortunately, we do not have any doll house plans on our website. I will put in a suggestion for a plan to be added to our website. I apologize for any inconveniences. I am looking for plans for a porch glider, any suggestions? Hi John. I am sorry, we do not have a plan for a porch glider. Hi Dennis, I see that you contacted us today about locating this plan. If you still have questions, please contact our customer service team at 1-855-253-0822 and they can assist you. Thank you for contacting us. Please click on the link below to view the French Cleat Article. Looking to make a toy box for my girls. Something they can keep for a long time. Hello. Please let us know if there are certain plans you are looking for and we can assist with that. If you have any questions, please contact our customer service team at 1-855-253-0822 or chat with us on our site. Hello. In response to your request, we have cancelled the auto renewal of your Annual Premium Membership. Your membership will remain active until: 3/22/2020. If you have any questions, please contact our customer service team at 1-855-253-0822. Hi Julie. I am sorry we do not have any plans for that. Thanks for checking. 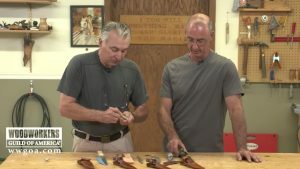 I am looking for the plans of Jim Heavey’s video ’12 Great Table Saw Jigs’. In particular the Raised Panel jig. And any of the other Jigs in the video. Why won’t search actually find something? I’m looking for plans for a cedar chest. Mainly the lid construction.